At AA Action Waterproofing, we take it very seriously when you decide to entrust us with the chance to help you. We know that it isn’t easy to choose a contractor, and you are giving us a vote of confidence when you allow us onto your property. Of course, any homeowner realizes there are risks involved whenever you select a contractor for work around the home. The AA Action Waterproofing team works hard to make sure you’ll have the best experience possible. What should you look for when you are evaluating a contractor? Each state has requirements for anyone who wants to do work in a residential or commercial building. Make certain any company you work with meets each of these standards and exceeds them where possible. AA Action Waterproofing complies with all regulations and is affiliated with the National Association of Waterproofing & Structural Repair Contractors. 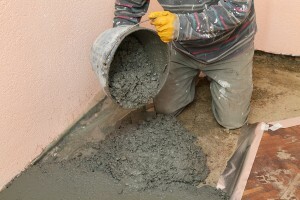 Many of the issues homeowners report with contracting services are the doing of subcontractors. Subcontractors are used when the main business focuses too much on marketing and advertising and not enough on professional expertise. To be sure you are getting your money’s worth, use businesses that do not send subcontractors to do requested work. AA Action Waterproofing has been in business for more than 27 years. Although we operate across five states and the District of Columbia, we are well known to customers and generate referrals thanks to our quality work. We are also accredited with the Better Business Bureau, which has bestowed its top “A+” rating on our business. There are some contractors out there who are less than honest. As a general rule, these folks will focus on getting you to pay for repairs rather than the much lower costs involved in prevention. Contractors with less experience or expertise will not have the specialized skills to provide good prevention services. At AA Action Waterproofing, we are the trusted source for waterproofing, mold remediation, and foundation repair. When you work with us, you know you are getting the best work from the most skilled and effective contracting team. To learn more, call or email us at any time. To demonstrate our commitment to you, we are glad to offer you a no-cost evaluation of your needs. ← What Are The Major Sources Of Flooding And Water Damage?